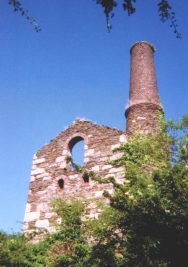 Mining and Quarrying have been major industries in Cornwall for centuries. The best known mining industries have been tin and copper but other metals were also important. Cornwall was mined for lead, zinc, manganese, iron, silver, antimony, wolfram, arsenic and uranium. The last three working mines were Wheal Jane, Geevor and South Crofty with mining finally ending in 1998. Granite has been cut and used since prehistoric times . Quarrying developed in the 19th century when dressed granite blocks were used for London bridges as well as docks and lighthouses and civic buildings. Granite from St Breward on Bodmin Moor was used for the Eddystone and Bishop Rock Lighthouses. Elvan was quarried for road stone at Penlee Quarry, Newlyn until quite recently. 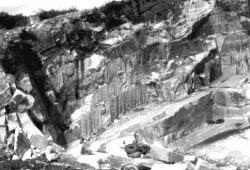 Delabole slate is famous with its quarry still working for over 7 centuries. Ornamental Serpentine from the Lizard is worked in small local workshops. The China Clay industry is still a major employer in the St Austell area.